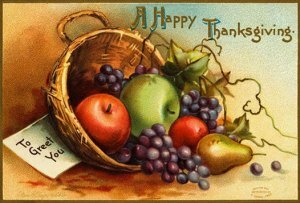 This thanksgiving, b e sure to give thanks for your good oral health. Thanksgiving is even better when everyone is healthy and happy. 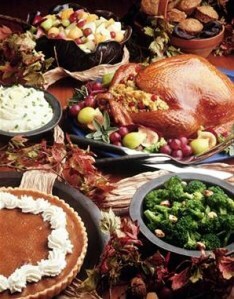 Therefore, to ensure optimal continuous dental health, be sure to include some healthy meals in your thanksgiving feast. Make sure that greens and winter vegetables are a major part of your meal. They are great sources of vitamins A and C, and prevent soft, bleeding gums and protect against oral cancer. Add especially carrots and celery, vegetables which are rich in fiber. Besides being great for your stomach, fiber stimulates your gums, which is good for your dental health. No thanksgiving table is complete without sweet potatoes or mashed potatoes. These foods contain a well balance of vitamins and nutrients. Unlike other starchy foods, Potatoes do not stick to the teeth, and this will prevent an accumulation of bacteria in your mouth. Cranberries, a great condiment to your turkey, contain flavonoids that can hinder bacteria from sticking to the teeth and forming dental plaque. As for desert, don’t rule out pumpkin pies as they are a good source of vitamin C, which protects gums, and the calcium needed in the development and re-mineralization of teeth. Also, add a bowl of fruit Salad to your desert selection. Fresh fruits have always been good for dental health as they promote saliva secretion which washes away food remains in the mouth as well as decreases acid production in the mouth.